In 2014 Thawte® advised that pricing would be aligned and adjusted to encourage and reward in-market focus, investment, and support for all Thawte® SSL Certificates sold to Japan..
From 14th April 2015, Trustico® adjusted its retail and partner pricing in accordance with contractual requirements and agreements. From 10th September 2015, Trustico® ceased to offer Thawte® products to retail customers affected by the Thawte® pricing changes, though will continue to offer Thawte® products to Trustico® resellers and additionally to customers that wish to make an arrangment with us. Primarily, the reasoning behind the decision to cease offering Thawte® products to retail customers is due to the lack of support and transparency being received by Thawte® within the Japan region. It is highly recommended that both Japan retail and reseller customers affected by the Japan pricing changes renew or purchase an alternate solution, such as our Comodo® offering. Trustico® does not support the pricing changes mandated by Thawte® and is calling for other affected Thawte® partners to reach out to the Trustico® management team for a general and confidential discussion. Only Symantec® owned brands are subject to pricing adjustments. Throughout the ordering process we will detect and advise if your order is subject to the Japan price increase and present an alternate product offering. In all cases, your order will be processed within the usual timeframes when using our automated online ordering systems and the SSL Certificate issued will be of equivalent security standards. It is important to note that Thawte® has mandated that all partners comply with new Japan pricing structures. If you find a price that is hard to believe, let us know. Thawte® continues to prosper as a distinct brand within the Symantec® group of companies. 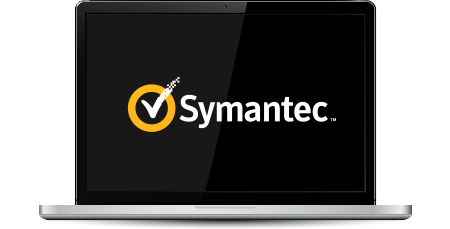 The company has the full backing of Symantec® whilst maintaining full autonomy in their day to day business. If you require any assistance or are looking for further information about the Thawte® Japan pricing changes, please Contact Us. Our staff are ready to assist with information and support upon request, we look forward to welcoming you as a Trustico® customer.